Seven political parties have applied to the Federal High Court asking that Rochas Okorocha should not be issued a Certificate of Return. The parties, which are joinders in the case, argued that Okorocha did not win the election. 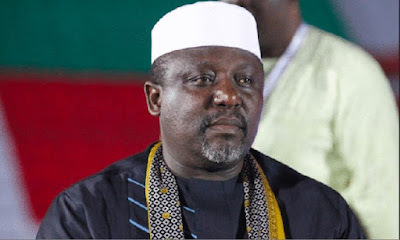 Governor Okorocha contested the Orlu West Senatorial district of Imo State on the platform of the All Progressives Congress, APC, and was declared the winner in controversial circumstances. The Independent National Electoral Commission, INEC, withheld the certificate, prompting Okorocha to ask the court to compel the Commission to issue him the Certificate of Return. Following arguments over service of court processes, Justice Taiwo O. Taiwo ordered that parties in the matter be served all the court processes and adjourned to April 9, 2019.